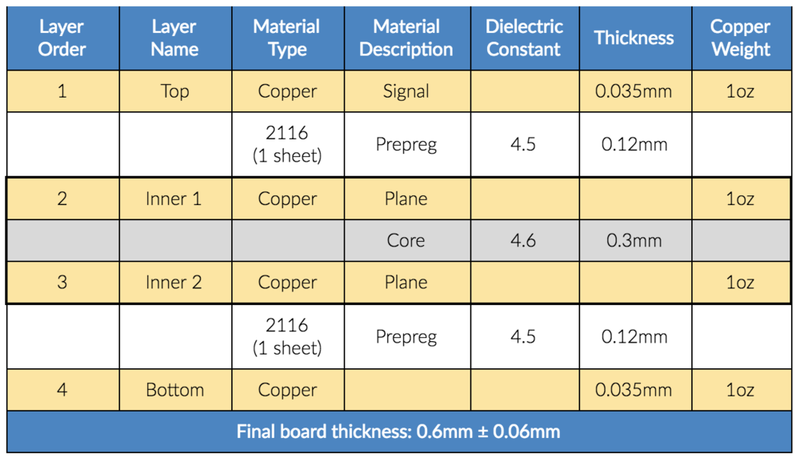 This article defines the standard materials we use and the standard stackups we use for 2-layer to 10-layer PCB's. For custom stackups please refer to this article. Please feel free to Chat with us if you have any questions regarding this Help Document. Top and Bottom layers are plated from 0.5oz to 1.0oz. 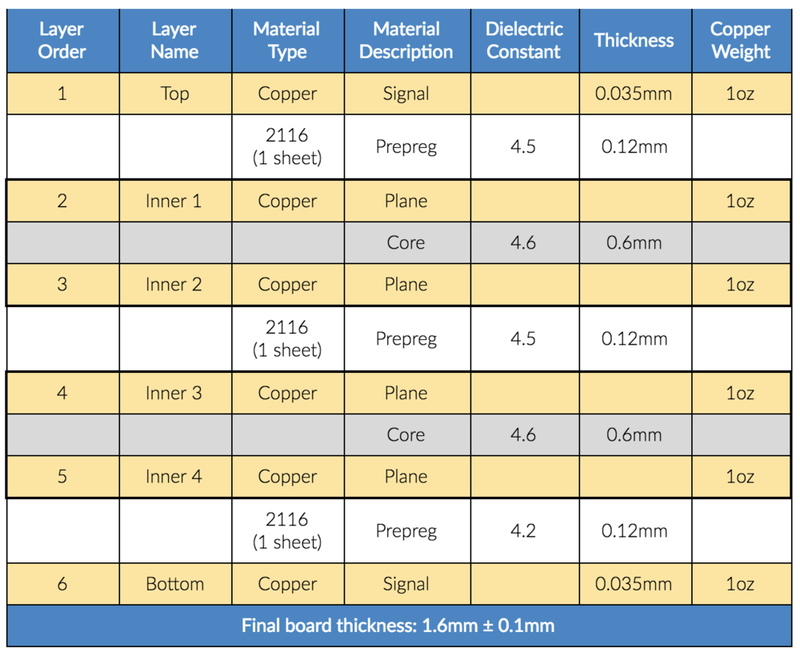 For the dielectric constant of the Core materials, please see the datasheets linked above. Core Thickness includes the copper. Copper Weight around Cores is 1oz. 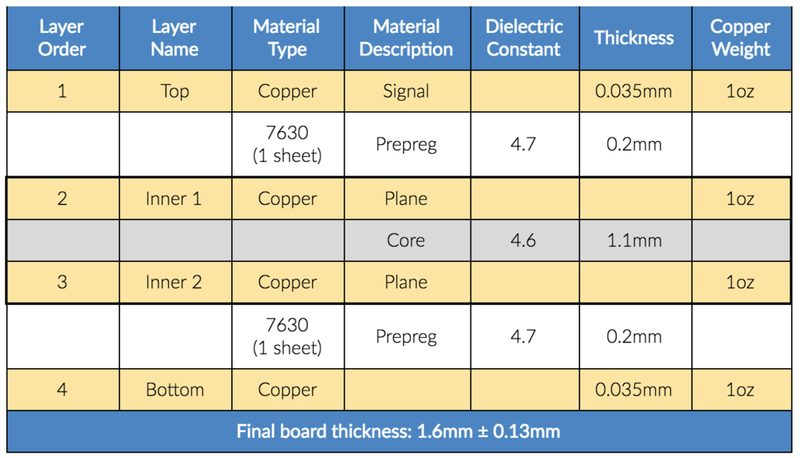 The physical thickness is approximately 0.035mm.